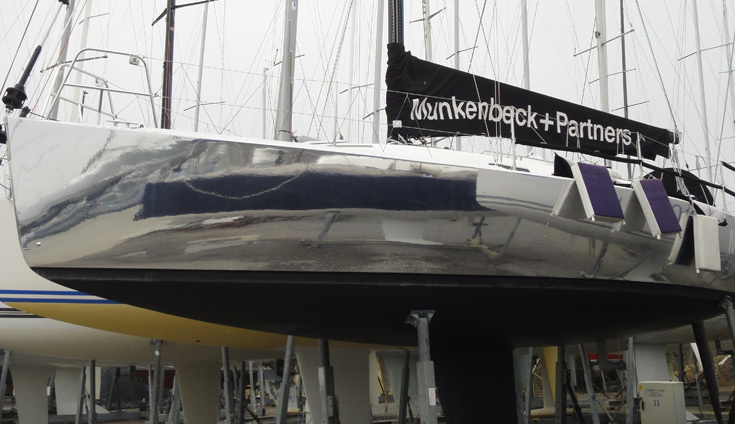 Munkenbeck J109 opts for Striking full chrome wrap. The owner let his imagination run wild by wrapping the hull to striking effect in Chrome vinyl. The effect of chrome on a boat in the sea is extremely unique as it reflects the water, making the hull almost invisible from some angles. The owner was so delighted with the result he has had his second boat wrapped in chrome too! Chrome hull wrap, Carbon yacht wrap, Digitally printed sponsorship logo’s, Pearlescent, Glitter, Metallic… you name we can transform the image of your boat! 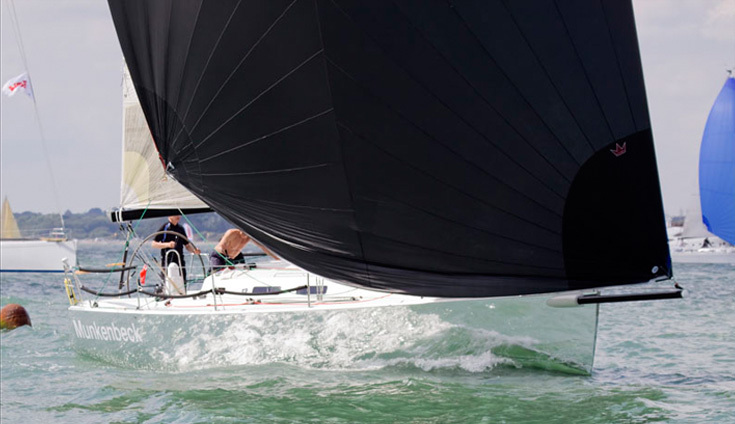 Munkenbeck were delighted to win a race at ‘The Little Britain Challenge Cup’ (LBCC). The Wild Group have been involved in LBCC for many years, branding boat hulls, Sails, flags, banners, stanchions, ribs and supplying embroidered and screen-printed crew uniforms. The Little Britain Challenge Cup is the premiere construction and property industry event. Started in 1988, 2012 sees the 25th regatta taking place. The regatta attracts entries from all areas of the construction industry with many companies having been attending since it started all those years ago. 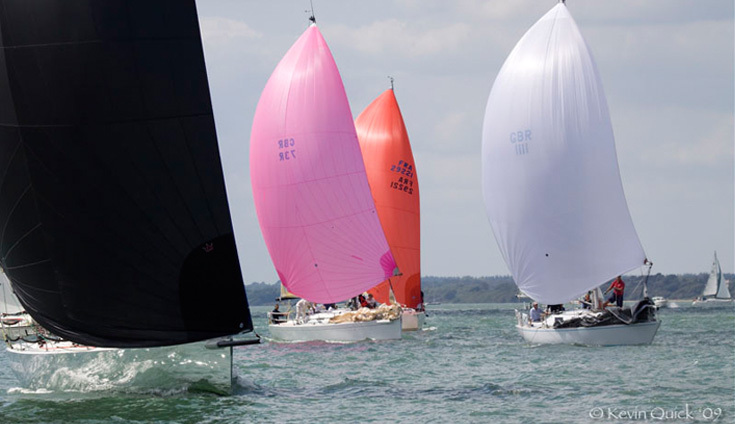 Taking place in Cowes each September, the event hosts three days of racing and shoreside entertainment. The event is more than just racing, it is also about networking, team building and meeting up with old friends and making new contacts.